Unlike any past storm — natural or man-made — Hurricane Harvey has exposed the fault lines between the politically powerful Texas petrochemical industry and the public’s right to know what dangers lie within their facilities. In Crosby, on the outskirts of Houston, French-owned Arkema refused to provide the public an inventory of the substances inside its chemical plant even as they were burning and causing mandatory evacuations. Along flood-stricken petrochemical row near the Houston ship channel, meanwhile, city officials detected a huge spike in cancer-causing benzene outside a refinery this week — while the state’s environmental protection agency temporarily suspended certain spill and emission reporting rules in Harvey’s wake. Critics point to a common thread in the light-handed regulations from state government: campaign money from oil and chemical companies flowing like floodwaters into the coffers of top Texas leaders. Those leaders have said in the past that campaign money has no role in their decision-making process. The top recipient of industry money in Texas is Republican Gov. Greg Abbott, who in 2014 ruled that Texas health officials no longer have to provide citizens with plants’ chemical inventories under state transparency laws. It was also Abbott who granted the Texas Commission on Environmental Quality’s request to temporarily suspend certain emission reporting requirements for permitted facilities. According to a May report by Texans for Public Justice, a liberal watchdog group, more than one of every five campaign dollars Abbott received from 2013 through 2016 — over $16 million, or 21 percent — came from the oil and gas industry. 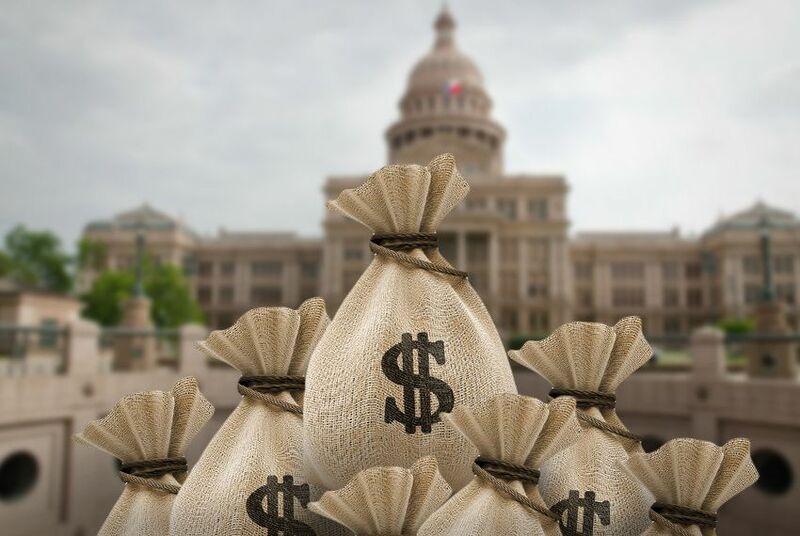 The report also showed that a significant slice of political contributions to the leader of the Texas Senate, Lt. Gov. Dan Patrick (16 percent) and House Speaker Joe Straus, R-San Antonio, (14 percent), came from oil and gas interests. At the request of The Texas Tribune, TPJ also ran the numbers on the chemical industry. The records again showed a lopsided amount going to the governor — more than $700,000 since 2013. That included more than $600,000 from a single chemical company CEO — S. Reed Morian of DX Service Company Inc., whom Abbott appointed to the Texas Parks & Wildlife Commission in 2015. Since 2013, Patrick has received about $300,000 from chemical interests while Straus received a little more than $30,000, according to TPJ figures. Besides Morian, other major donors to the top leaders from chemical interests include Lyondell Chemical Co. PAC, Walter White, the CEO of Economy Polymers & Chemicals and the Dow Chemical Company PAC. In 2014, Abbott, then the attorney general, said "ongoing terroristic activity" prompted his ruling to block release of the chemical inventory reports he feared could fall into the hands of evildoers. Abbott also said at the time that Texans could “drive around” and ask chemical plants directly for the information — but officials say the state has no authority to make them comply. Jim Marston, the Texas regional director of the Environmental Defense Fund, noted that Texas is among a small minority of states that won’t release “Tier II inventory” reports showing which dangerous substances — and how much of those substances — are stored at chemical plants. Officials said more than a dozen first responders sought medical attention after breathing some of the fumes from the Arkema plant in Crosby. As for Abbott’s more recent decision to order a temporary suspension of rules requiring immediate reporting of certain chemical emissions, Wittman noted that the rules apply “only to situations in which compliance with these requirements would actually prevent, hinder or delay necessary action in coping with the disaster. “Environmental reporting obligations that can be met without negatively impacting disaster response remain in place,” he added. Bay Scoggin, director of the environmental group TexPIRG, said the big money coming from oil and chemical interests doesn’t look good in the wake of Harvey. Disclosure: Dow Chemical has been a financial supporter of The Texas Tribune. A complete list of Tribune donors and sponsors is available here.